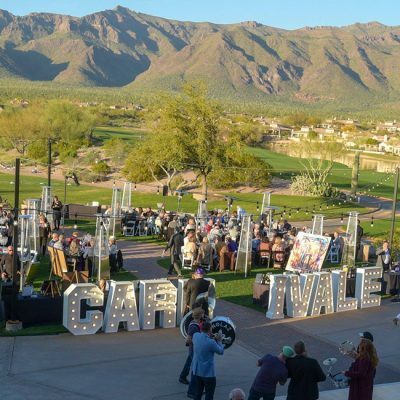 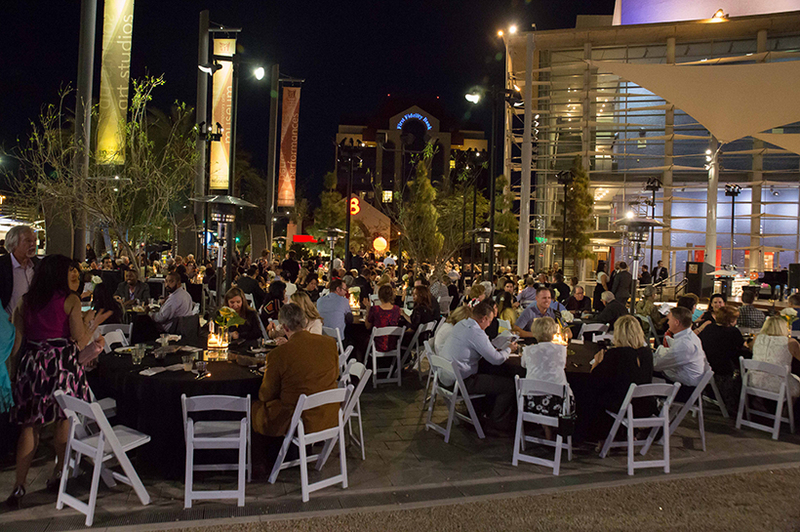 360 guests enjoy an evening under the stars to mark the 10th anniversary of the opening of arts venue. 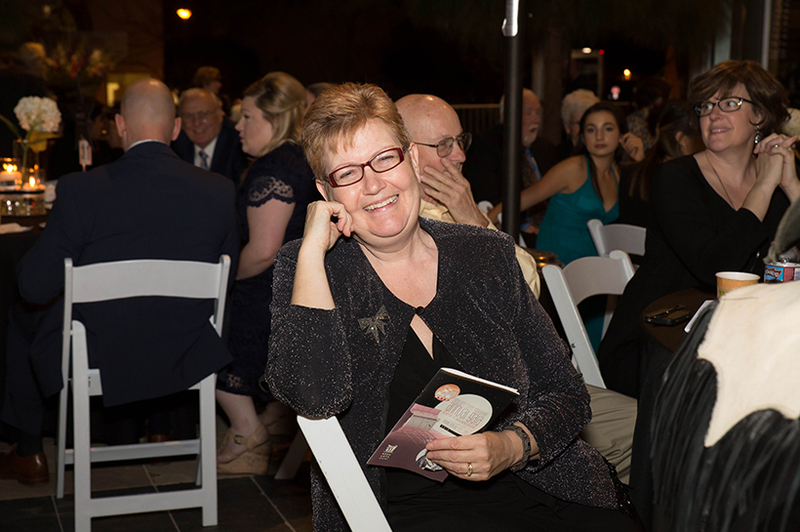 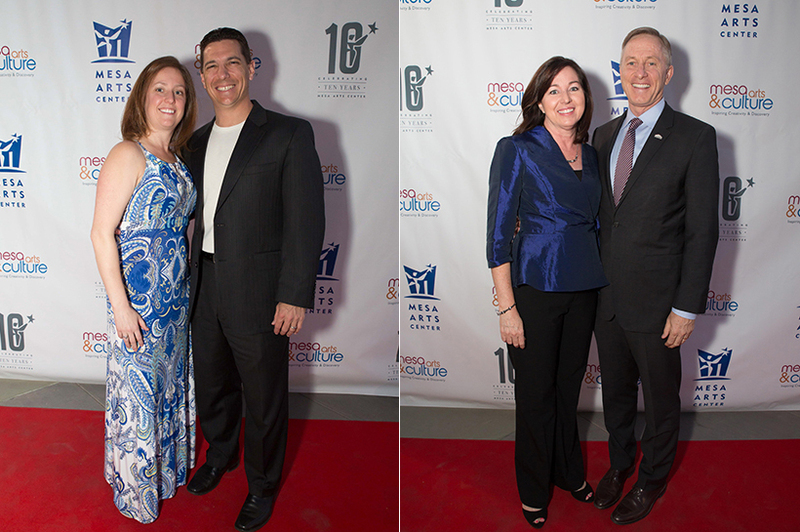 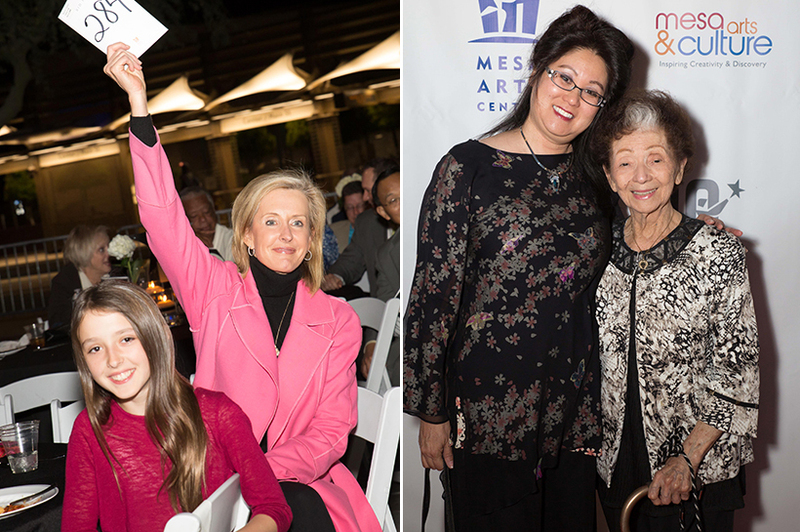 On Feb. 26, 360 guests assembled at Mesa Arts Center’s Shadow Walk to raise money to support the 10-year-old arts venue in downtown Mesa. 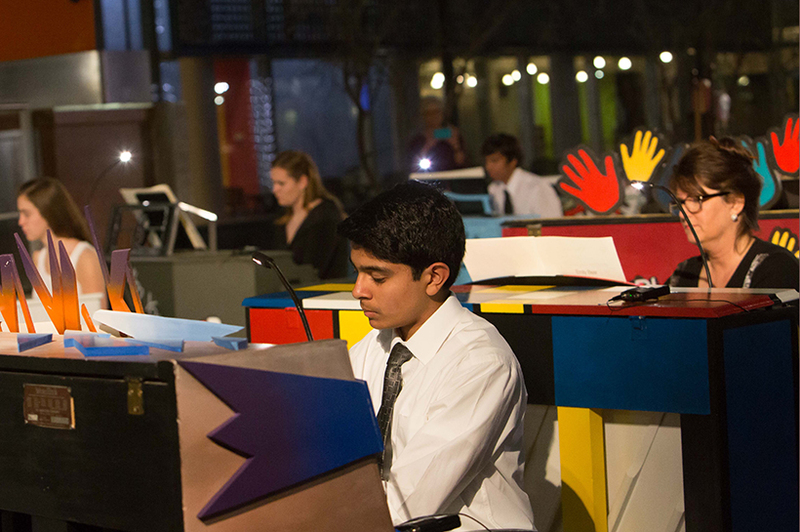 The evening, hosted by Mesa Arts Center Foundation, kicked off Street Pianos Mesa, part of “Play Me I’m Yours,” a 50-city display of more than 1,400 pianos. 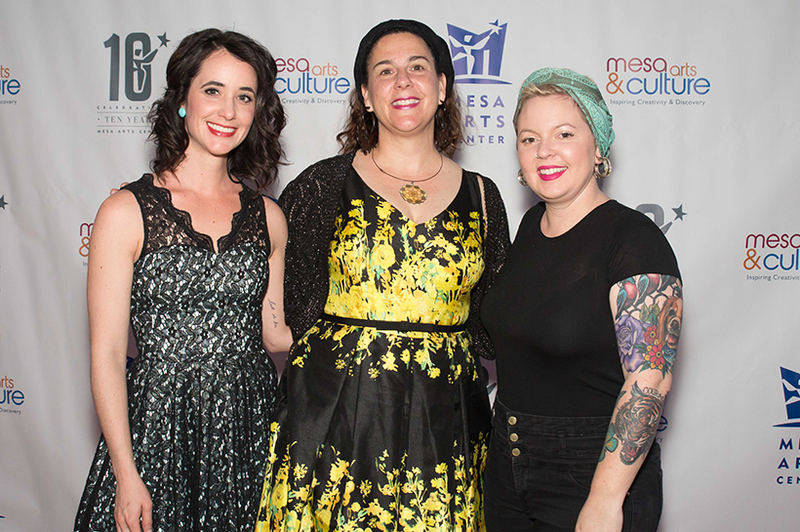 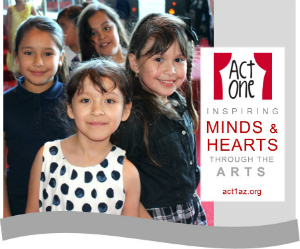 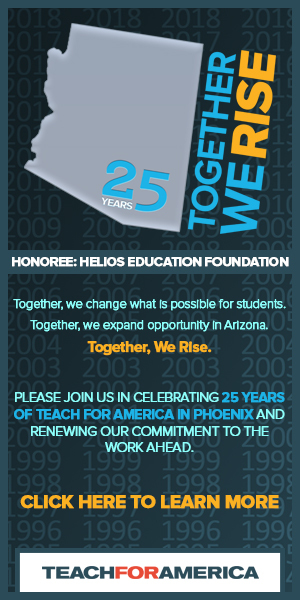 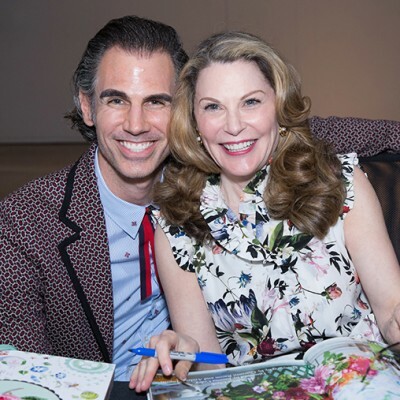 It grossed in excess of $101,000, which will provide support for Mesa Arts Center’s Engagement programs that reach 54,000 people annually. 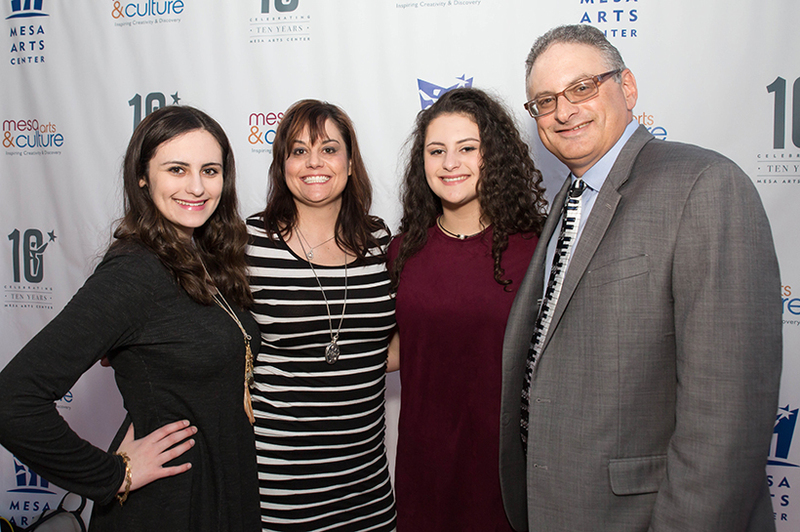 Robert’s Catering served a buffet menu that included salads, pastas, sliders and desserts. 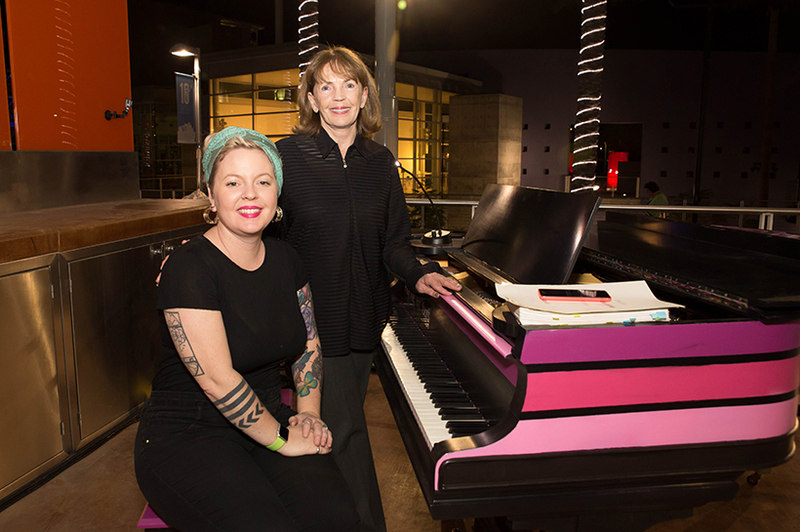 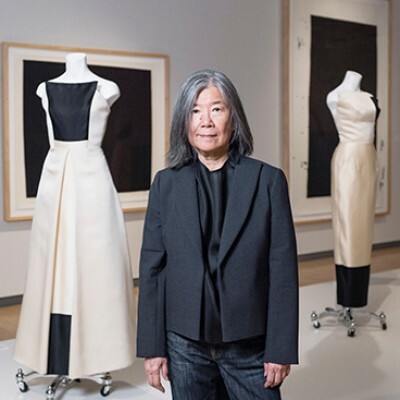 Composer and pianist Emily Bear, who at age 14 is one of the world’s most lauded and popular musicians and who arranged “The Bravest Journey” for 25 pianos, provided the evening’s entertainment. 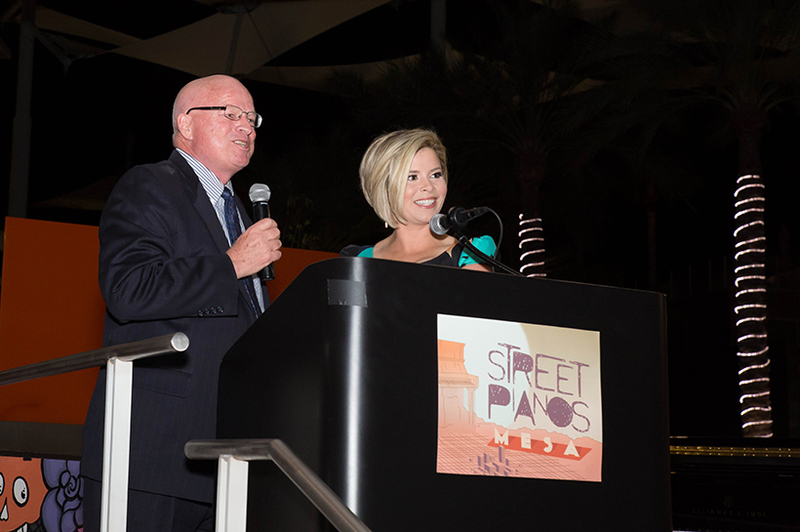 Cassidy Campana chaired the festive occasion, and Emma Jade of 12 News served as the evening’s emcee.